The Laigh Kirk was founded in August 1738 by the Burgh of Paisley and by the Presbytery of Paisley as the parish church for the whole burgh, in response to the burgeoning population of Paisley and the dilapidated state of Paisley Abbey which, at that time, was outside of the Burgh limits on the opposite (western) bank of the River Cart. The Burgh and town of Paisley were formally disjoined as a parish from the old Parish of Paisley, which had served a large geographic area, at the August 1738 meeting of Paisley Presbytery, with the cover page of the first minute book of the church declaring it to be a “record of the Parish of the Burgh of Paisley”. The original Laigh Kirk building was located in New Street. In 1820, due to the ever growing size of its congregation, the Laigh Kirk moved to a new, much larger building on George Street. The Laigh Kirk continued to grow and expand, as did Paisley; and to meet these demands a new congregation was seeded by the Laigh Kirk on Neilston Road, the South Church. Beginning its life as a Chapel of Ease under the Kirk Session of the Laigh Kirk, the events of the Disruption of 1843 saw this sister congregation leave the Church of Scotland and join the new Free Church of Scotland, as the Free South Church. It would be over 140 years before these two halves became whole again, with the reunion of the two congregations (by this time known as St George’s Low and St Andrew’s) in 1985. The name Laigh Kirk was re-established in Paisley and served the Parish from its Causeyside Street base, the building originally built as the Free South Church of Scotland. On Thursday 6th January 2011, The Laigh Kirk united with the congregation of the former Castlehead Church of Scotland. 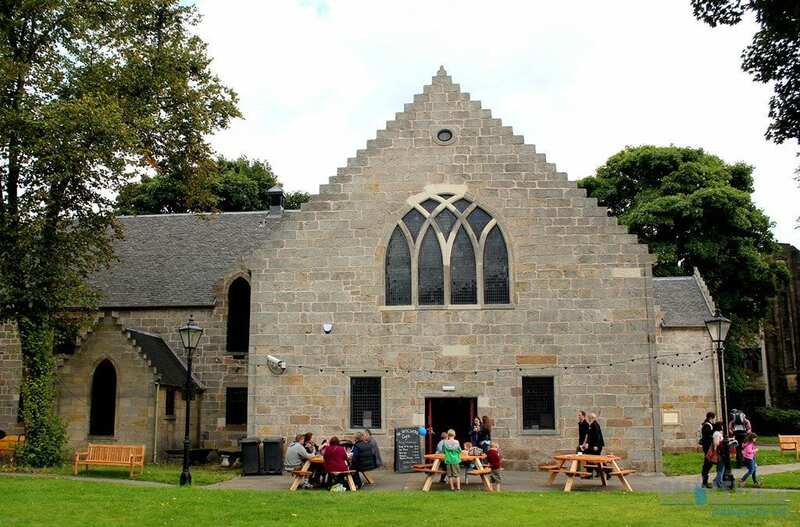 The new congregation is called Stow Brae Kirk, and meets for worship in the former Laigh Kirk buildings on Causeyside Street.